Socially anxious individuals tend to have elevated levels of perfectionism and engage in excessive rumination following social situations. The present research aimed to examine perfectionism, in both state and trait forms, as a predictor of post-event rumination. Socially anxious students (N = 104) completed measures of trait perfectionism prior to, and state perfectionism following, an anxiety inducing speech task. Post-event rumination was assessed 2 days later. 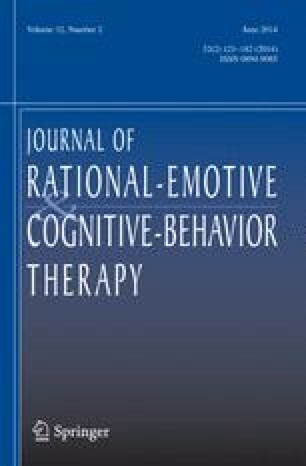 State and trait perfectionism were significant predictors of post-event rumination (2 days later), while controlling for baseline social anxiety, depression and state anxiety. These results support the need to target perfectionism in treatments for social anxiety disorder. This paper is based in part on the first author’s MA thesis supervised by the second author. Portions of the manuscript were presented at the convention of the Canadian Psychological Association in 2011. This research was funded in part by a Social Sciences and Humanities Research Council (SSHRC) standard research grant and an Early Researcher Award from the Ministry of Research and Innovation awarded to the second author.